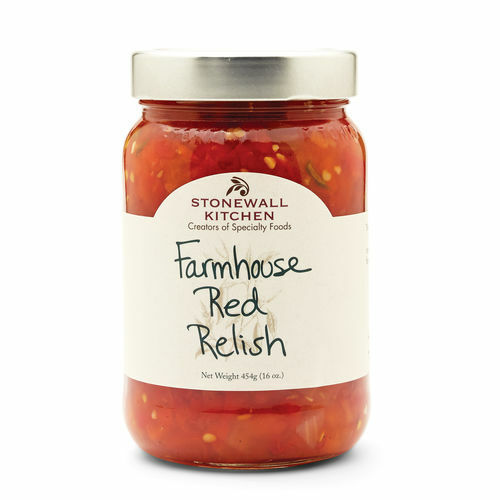 The slight kick of heat in Farmhouse Red Relish from Stonewall Kitchen comes from red cherry peppers. The mild onions and red bell peppers balance the flavor perfectly. Ideal for topping grilled burgers or any sandwich. Place all ingredients in the bowl of an electric mixer and beat until well blended. Taste and adjust seasoning if needed or preferred. Serve at room temperature as a spread for crackers, or a dip with vegetables.